This year has been a very active hurricane season. There have been three category five storms so far. Following Hurricane Harvey, the disaster response team of Heritage Academy considered traveling to Houston to respond, but as Irma loomed in the Atlantic, it seemed that the group should respond to Florida instead. Daily, the team monitored the storm’s progress as it approached the Florida coast. 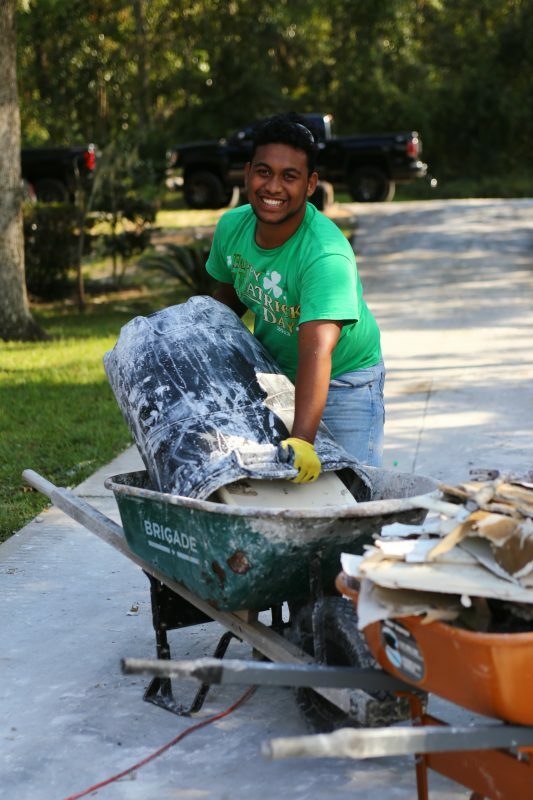 After the storm passed, sixty-nine volunteers from Heritage Academy traveled to the flooded area of Jacksonville, Florida for nine days. The community of Middleburg experienced flooding when the Black Creek rose 27 feet. Homes in the area had as little as an inch of water in the house to as much as 20 feet of water. Heritage Academy arrived as the flood waters receded. Flooded homes require the removal of all furniture, and household goods. Furthermore, all drywall up to a foot above the water line must be removed. This work must be accomplished before mold begins to form—usually within 72 hours. The cost of removing drywall alone from a flood-damaged home typically costs $15,000, and this does not include the cost of removing the carpet and furniture. 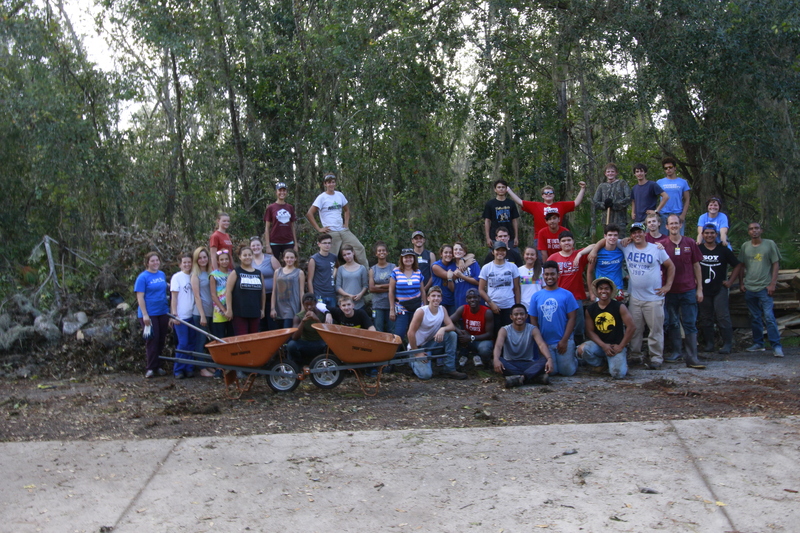 The staff and students of Heritage Academy performed this service (called mucking out) for 52 homeowners. One big answer to prayer that made this work possible was a generous donation of rubber boots, which were flown in, for all the staff and students. In addition to this work, crews from the school removed fallen trees and debris from 30 other homes. The work had a profound effect on the citizens of Middleburg. A local principal wrote, “I imagine that when most teenagers from Tennessee visit Florida, their eyes are on beaches and theme parks, not Middleburg, Florida. Last week, covered in sweat and mud while digging out some of my teachers from an historic flood, I noticed the students with whom I was working were not from my school. I discovered they were from yours. The students had prayer with each family that they helped. Heritage Academy ministered to the residents of Middleburg, volunteering 5006 man-hours valued in excess of 1.3 million dollars. Last year Heritage Academy worked near this area in response to Hurricane Matthew. According to Pastor Ryan Amos, six new members were baptized as a result of that work. What an incredible opportunity it is to be able to meet the needs of strangers, pray with them, and represent Christ.